As the US starts to change their laws surrounding sports betting, there are some that have become pioneers in this area. 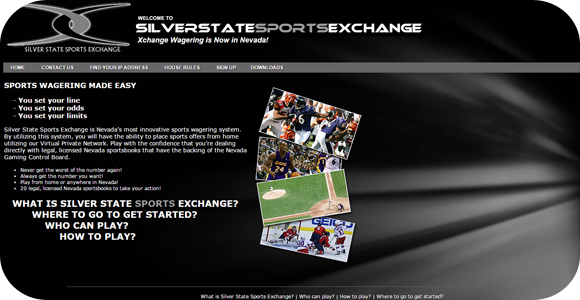 In states where is has been legalized, these people have started up their own legal online sportsbooks, including Silver State Sports Exchange and PropSwap. Even though these websites are popping up all over the internet, there are still strict rules and regulations that they must follow. For instance, in Nevada, an operator has to get the approval from the Nevada Gaming Control Board. However, there are many aspects that will limit what a book can do, like specific State and Federal regulations. You pick the sport and game. You set your wager amount. Sportsbook has to approve of the bet for it to become active. In other words, the sports fan is the one that comes up with the betting line they want to place money on, but the book has to approve in order for it to work. This system may be slightly in the fans favor, as they can set the odds how they want, but will waste a lot of time, as there could be a lot of disagreements in that area. Even though they do not operate like a regular sportsbook, it is a big step forward. Once, and if, the entire US legalizes sports betting, we may see a lot more freedom with how these sites operate and offer their services, all while being regulated to make it safe and secure.